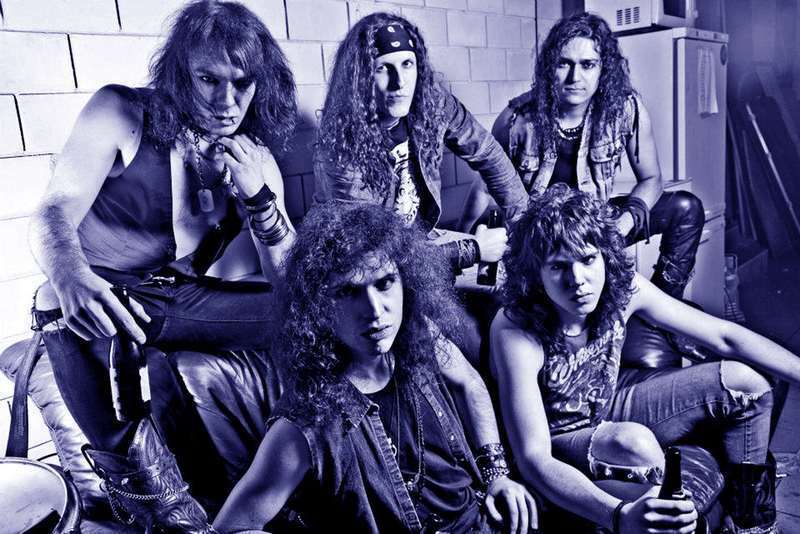 An immediate trip back to the 80’s and turning you into a headbang-addict, VOLTRAGE give a very good reason to believe that the genuine Heavy Hard Rock is still alive. 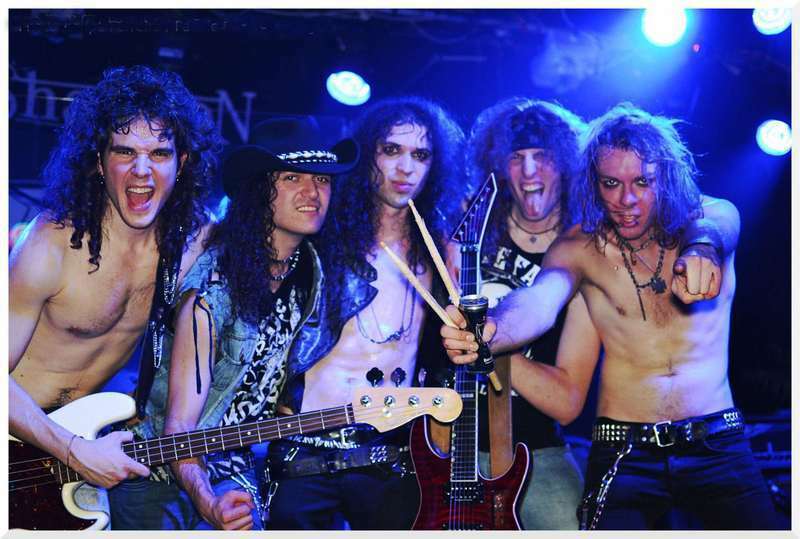 Both musically and visually the band harks back to the days when LA was the Rock ‘n Roll capital of the world. 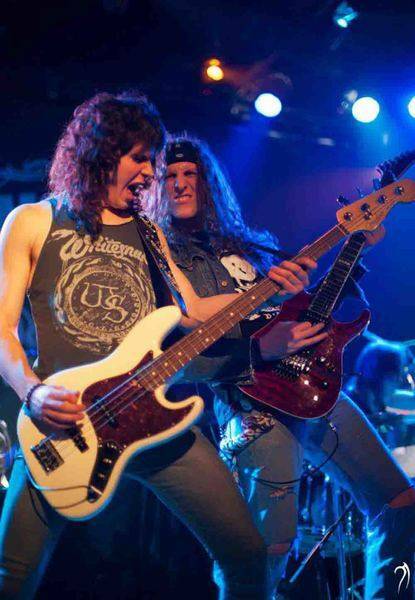 Hard beat songs, catchy melodies, guitar solos that tickle your fingers and make you want to play air guitar; add a little bit of slide, a singer that tears off your eardrum on lyrics where alcohol, girls and party rule the night. 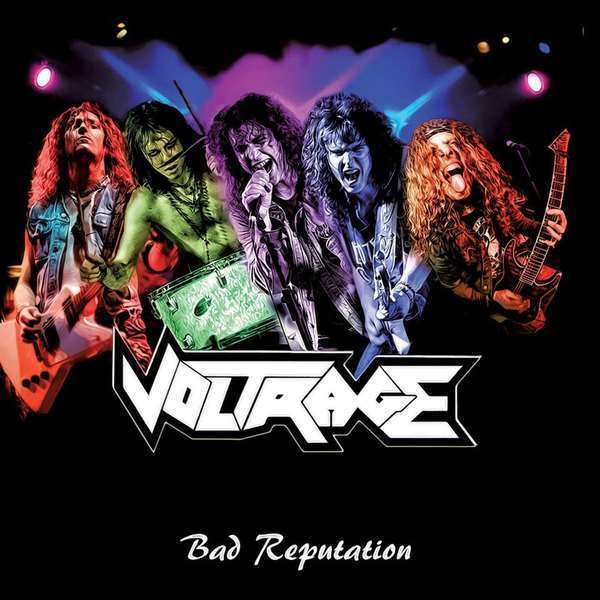 If Mötley Crüe, Gun’s n Roses and AC/DC would have madea baby, they would have named it VOLTRAGE ! 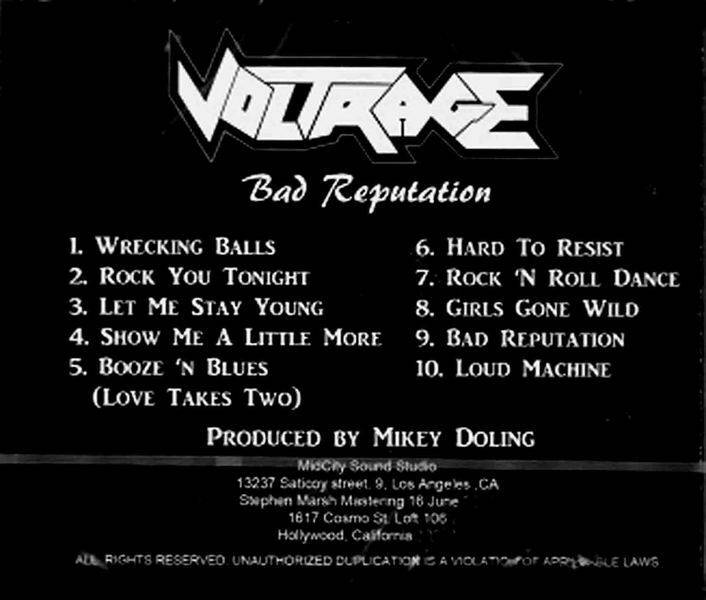 Determined to take possession of the space left empty on the Sunset Strip by Guns N 'Roses and Motley Crue, the Voltrage are presented to the public with this debut album where they show they know how to play badass street metal in 2014. "Bad Reputation" has the defect of always playing the usual story, but has the important merit of succeeding in doing without falling into the trivial, giving us ten tracks to the fulmicotone that left no room for ballads, but rather rhythmic blueseggianti from local suburban American (listen to "Booze 'N Blues (Love Takes Two)".AC/DC, Aerosmith and Guns 'N' Roses, are the ingredients used by Voltrage to express their energy and it does not matter if Johnny Crash, Britny Fox and shabby company did it already 25 years ago, because the final impression given by the group It is more than positive and I am convinced that their bad reputation will soon reach the ears of many cockers. Produced by Mikey Doling, at MidCity Sound studio, Los Angeles, CA.